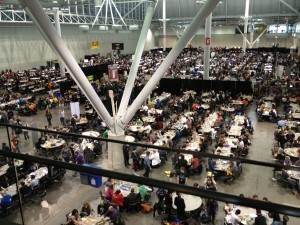 Games on Demand at PAX East was a blast this year. Our awesome volunteer GMs kept 8-10 tables running almost constantly and there were many great games. The event was located in an excellent spot across from the Indie Bazaar, Burning Wheel/Memento Mori/Dungeon World, and Modern Myths booths which created an exciting atmosphere. 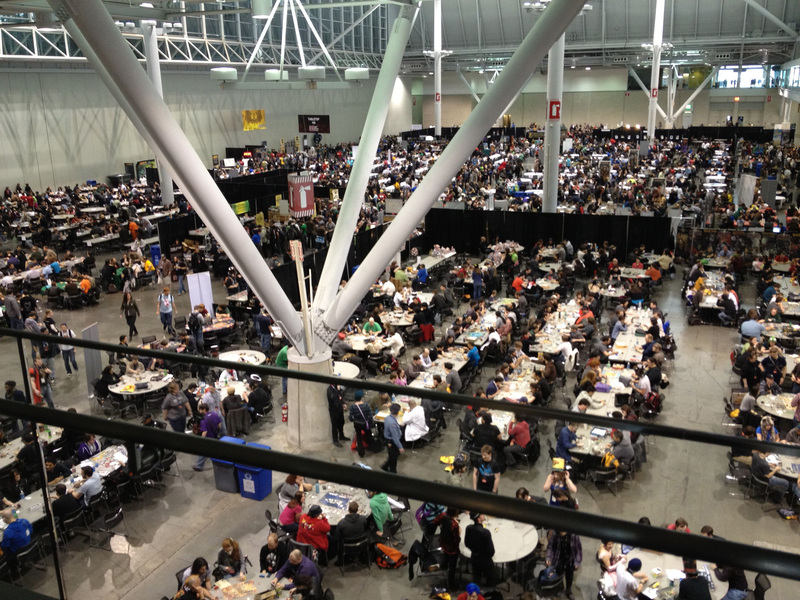 Planning has begun for Games on Demand at PAX East 2013 in Boston (March 22-24). The event will take place in the Tabletop hall again this year, and we’re working with organizers to secure space on the main aisle across from all the vendor booths. Â Complimentary guest badges will be available to volunteers, giving you access to the show for the whole weekend. Volunteering involves a combination of hosting and running games you love for enthusiastic strangers, for a total of 12 hours over the course of the show. Everyone who volunteered last year said that it was a lot of fun. If you’re interested in joining us, just send us a message and let us know!